Stylish and sturdy with superb suspension, the Escarpe takes your trail riding to new heights. 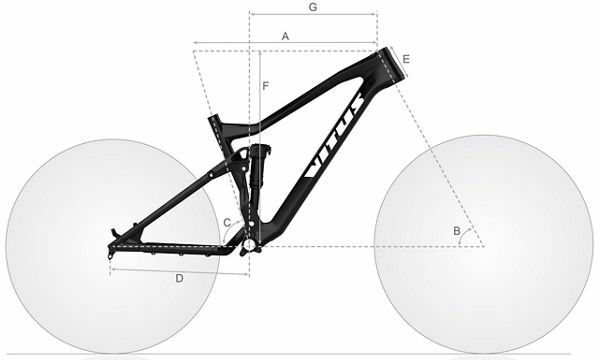 An ideal terrain-buster from Vitus, it combines modern MTB tech and spec with a quality, trail-centric build to have you mastering the mountain every time. Built with superbly low, slack and long geometry, the Escarpe VR Mountain Bike lets you ride with fun, excitement and poise with its full suspension setup allowing you to go for it as aggressively as you wish. Soaking up every morsel of impact is a RockShox fork and shock combo with 150mm of front travel, while the SRAM NX Eagle 1x12 drivetrain powers you on and the Guide R disc brakes rein you back in. Rolling on a "Boost"-sized, tubeless ready wheelset and wide Maxxis 3C tyres, no terrain is off limits to this marvellous mountain bike. Vitus Escarpe VR Mountain Bike (NX Eagle - 2019) is rated 5.0 out of 5 by 1. Rated 5 out of 5 by Euan1001 from Very nice bike I have ridden the bike a few times and it has been excellent. It allows reckless speed over rough stuff. The rear brake caliper seems to suffer from a sticky piston issue and regularly decides not to go back in place. However, this doesn't detract from the quality of the bike overall.